Best Android Lookout : Nexus 7 in India for Rs. 19,999 (16 GB tablet). Nexus 7 in India for Rs. 19,999 (16 GB tablet). The Nexus 7 by Google, Asus finally hits stores in India at a price of Rs. 19,999. * Croma * is selling the 16 GB Nexus 7 for Rs. 19,999 which is around Rs. 6,000 extra when compared to the $249 price in US dollars. The 8 GB Nexus 7 is now phased out by Google and two 32 GB Nexus 7 tablets have been released of which one has a sim slot therefore adding call facility to the Nexus 7. 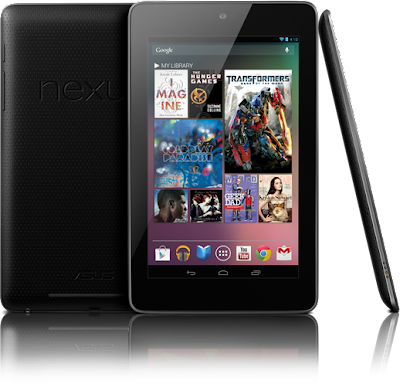 The Nexus 7 tablets have a very high demand and have become very popular in the US. The Nexus 7 tablet was highly expected to hit Indian shores in November 2012, and so it finally has. Now the only question is, is it worth the price ? - The hardware used in the Nexus 7 is top class with a 1.2 GHz Cortex A9 quad core processor used in the Nvidia Tegra 3 chipset, 1 GB RAM and 16 GB internal memory. 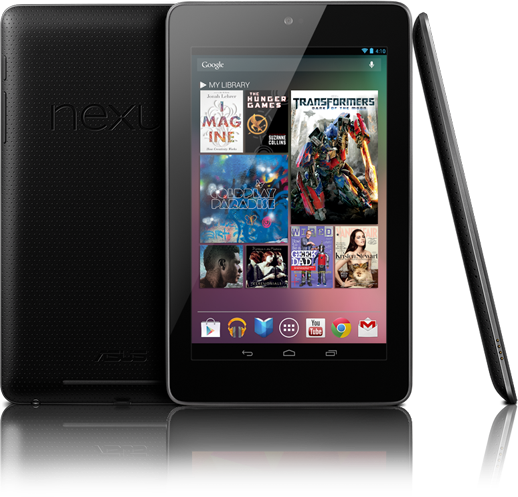 - Nexus 7 was the first tablet to come shipped with Jelly bean 4.1 Android OS out of the box. It is also Google's first ever tablet, which created a stable and successful platform for Google to venture out into the tablet territory. - The Apple Ipad mini may have been manufactured as a response to the 7 inch Google Nexus 7 tablet and other 7 inch tablets that were cheaper and growing popular. - Up to date Google always updates its Nexus devices with the lastest OS before devices from any other company. - Good battery of Standard Li-ion 4325 mAh. - Finally, good support is expected from the reputed Croma electronics store. - No Sim card slot. - No back camera for taking pics. Click here for the complete hardware review on Nexus 7. Ingress : Google's very own Android game !